As expectations surrounding the new Panigale V4R continue to grow, Ducati’s sporting director Paolo Ciabatti gave an interesting insight on what we can expect from the race version that is now being developed to race in World Superbike in 2019. According to Ciabatti, “The Panigale V4 is already faster than the twin”, and this is really good news to Ducati, because at the moment the Bologna based manufacturer doesn’t seem to be able to get its current twin-cylinder Panigale R up to speed against the Kawasaki Ninja ZX-10RR raced by Jonathan Rea and Tom Sykes. 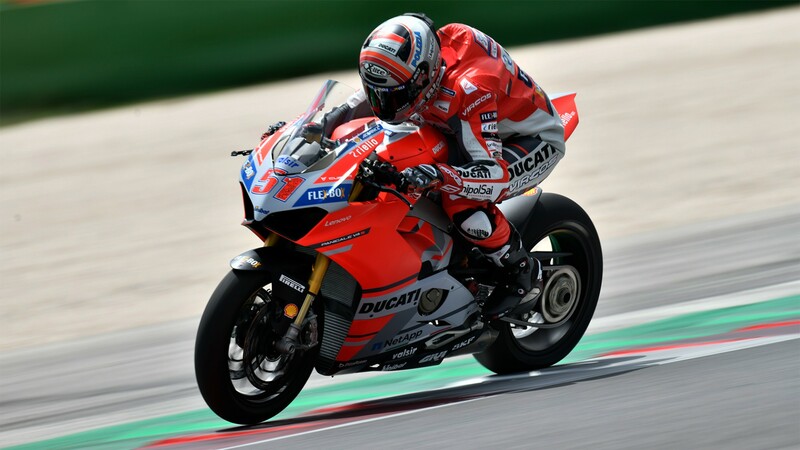 Calling in the skills of their official test rider Michele Pirro, the first tests are positive, and work is well underway to get the bike competitive in time for the FIM Superbike World Championship 2019 season opener. Ciabatti explains their progress with the V4 so far: “We are at the stage of development of the new Panigale V4 Superbike which needed a very fast rider to assess the level of the bike. The test was very positive, but there are still a few details we need to fix. We are very happy as there are still a few minor things we need to work on, but the bike was definitely faster than the twin. We had one of Chaz Davies’ current bikes there as Michele was testing both, so he did a back to back test. The V4 is already faster, which is a very good point and I think we reached a very satisfactory level, still some time to fix a few items but all in all the project seems to be very competitive”. Will we see the new Ducati Panigale V4R dominate on the track and on the road? MotoGP – Mahkamah FIM mengisytiharkan “spoiler” Ducati adalah sah!